This spectacular glass table is a classic! 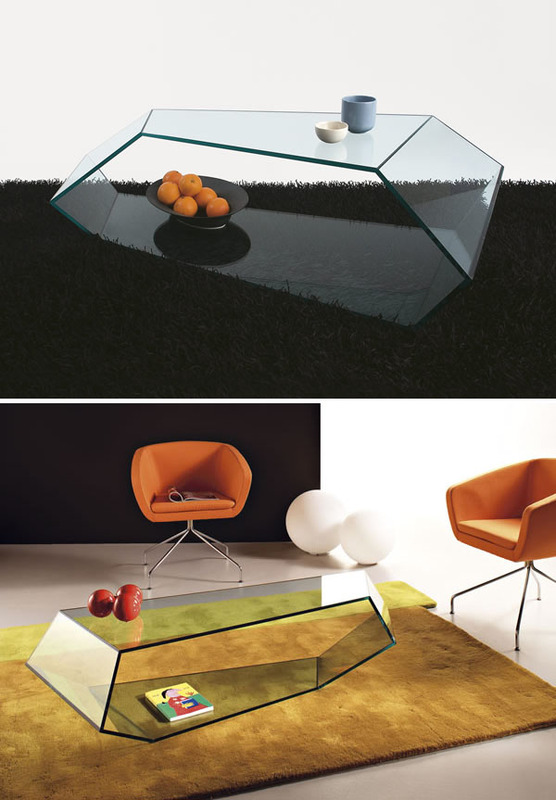 This very attractive modern glass coffee table was designed by Karim Rashid for Tonelli in Italy. Dekon 2 is a coffee table made entirely out of glass. This modern table is perfect for use as a side table, coffee table, occasional table. This captivating table will look grand in any modern interior. The particular angles of this low table produce a pleasant effect of continuity of the glass surface. This modern glass table can be placed directly on floor or lift up on feet (included). This modern table is made by Tonelli in Italy. Tonelli manufactures furniture and designer objects in glass. Tonelli was founded in the mid 1980's as the result of a deep and lasting passion for research and experimentation with glass. Tonelli specializes in glass design, glass furnishings, furniture, glass table, chair, trolleys, showcases, glass tv trolleys, glass table tops, glass tables, glass dining tables, glass sofa tables, glass coffee tables.